Tim’s Corner Motorsports is excited to announce the continuation of a partnership with EIT Race Radios to present the EIT Race Radios Hometown Hero Award. This is the fourth year of the award after the creation of the program at the beginning of the 2015 season. EIT Race Radios was established in May 2002 as a supplier of radio communication equipment for motor sports race teams and fans. EIT Race Radios attends race events across the Maritimes every weekend and provides communication assistance and equipment to race teams and track staff as well as radio scanners and headphones for sale or rent to race fans. New for 2018, EIT Race Radios has launched a new website and opened an online storefront. Racers and fans can now purchase radios, scanners and all the accessories from the comfort of their own home. All products ship from the Halifax area and more items are being added weekly after the launch on April 19th. You can also save time at the race track by reserving a scanner rental online prior to heading to your favorite event! For a complete product and price list, along with a schedule of events that EIT Race Radios and Brent Rowley will be attending, please visit www.eitgroup.com. Driver must compete in 80% of their home track’s events. New for 2018, at least 80% of a considered driver’s starts must be at his or her home track. For example, if a driver competes in 12 total races on the season, 10 of those must be at his or her home track. It allows drivers to compete in big events and still be eligible for the award. 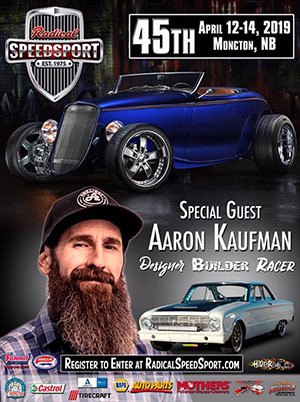 This recipient selected also supports their home track and the sport as a whole through promotion, whether it is through car displays, social media campaigns or word of mouth, as examples. In 2017, the EIT Race Radios Hometown Hero Award went to Prince Edward Island for the first time since the Award’s inception in 2015. 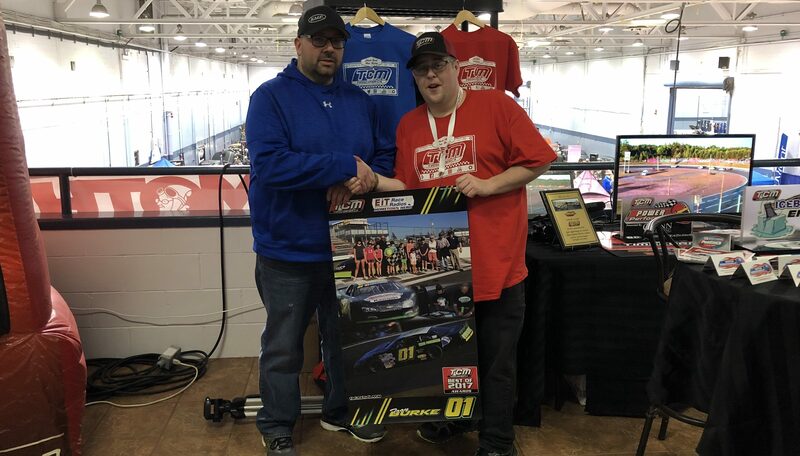 Troy Burke, who competes in the Late Model (and now Pro Stock) division at Oyster Bed Speedway was rewarded for his commitment to the sport at his home track and in the province with the EIT Race Radios Hometown Hero Award. Previously, Speedway 660’s Ryan Messer (Harvey, NB – 2016) and Richard Atkinson (Geary, NB – 2015) have received the prestigious honor. The recipient of the award will receive a TCM Award Banner and product from EIT Race Radios. Special thanks to John Dragonetti (Drakon Tech) and Mike McCarthy (McCarthy Photographic) for promotional considerations on Troy Burke’s 2017 Award Banner. Fans can nominate drivers and teams for the award by contacting Tim’s Corner Motorsports via their Facebook page, on Twitter or Instagram (@TimsCornerCA) or by email on our website’s Contact Us page. Complete TCM Best of Racing Awards information can be found at TimsCorner.ca, beginning in August 2018. The TCM Best of Racing Awards recognizes drivers and tracks throughout Atlantic Canada in many different categories, including the TCM Most Popular Driver, Kings County Performance Rookie of the Year, TCM Breakout Performer of the Year and Finish Line Vinyl Design Best Looking Car Awards, just to name a few. Marketing opportunities for the 2018 TCM Best of Racing Awards are available by contacting Tim Terry at tcmawards@timscorner.ca.